Michael K. McFadden is recognized as one of the world’s leading business speakers and corporate trainers. His combination of business expertise, human relations knowledge, and philosophical delivery creates a dynamic that fosters true changes in the people he works with. Businesses call on Michael when they want true, positive, long-lasting changes. A vibrant professional speaker, Michael’s style, content, and delivery have earned him the respect of international corporations, awards from Toastmaster’s, and the admiration of the countless lives he has touched. As a speaker and corporate trainer, Michael McFadden delivers easy-to-use, practical information suited for all people, businesses, or situations. His energy and savvy combine with an educational approach that goes well beyond the typical “motivation” aspect of most corporate presenters. 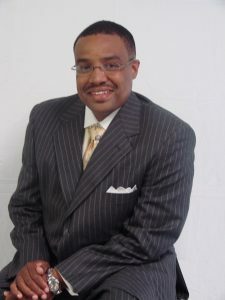 Today Mr. McFadden takes his practical experiences and translates them into seminars, speeches, and training workshops for various businesses and organizations nationwide. His love for people and commitment to excellence continuously motivate him to share what he has acquired with others who thirst for a better life.